This book should leave any dispassionate reader deeply disturbed. It should be required reading for people in policy and politics who deal with these matters. No thought leader should be ignorant of the contents. Let us be clear at the outset: the global climate is changing, and has always been changing. The earth has warmed by 1C over the last 150 years. That is not the issue. The issue is whether the human emissions of carbon dioxide since 1850 are heralding an imminent and certain global climate catastrophe that could be averted by engineering projects. 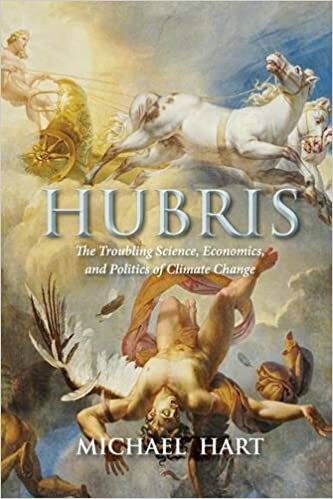 This is the most complete book to date that takes a critical look across the whole of the recent history of climate change as science, as input to policy, and as a driver of far-reaching societal change. My own interest in the subject starts from the totally unrealistic engineering outcomes being assumed and implied by a decarbonisation of the world economy by 2050, and even a simplistic attempt to undertake a cost-benefit analysis of the decarbonisation project as far as engineering and technology will make a difference. The scale of the investment for the unknowability of the measureable outcomes implied by ‘solving the climate change problem’ represents hubris of the grandest order. The opportunity costs dwarf any possible outcomes. If one then goes back into the ‘post-modern science’ from which the imperative to decarbonise originates, several cans of worms are waiting. I fear that when this whole enterprise collapses, as certainly as the tulip bubble evaporated in 1637, there will be a backlash against trust in science that will herald a dark age in which scientists are routinely regarded as untrustworthy shamans. My concern is that the integrity of science is under great threat and that my own subject, engineering, will get caught in the backlash, even though engineers have been among the most vociferous critics of the projects of imminent global catastrophe caused by humans. It is the human desires for comfort, secure and variable food, health, education, mobility, communications, defence and other fruits of the industrial revolution that lead to the scale of human emissions of carbon dioxide, and only a deep and dramatic curtailment of these desires by everyone, but especially those living in the developed countries, will reduce carbon emissions in the next 30 years. Michael Hart, who has spent the last decade working on this book, has produced a scholarly and accessible analysis of this saga. The first third of the book talks about the nature of science and current pathologies in the practice of science that would have Newton, Einstein and even Feynman spinning in their graves. There is a core of robust but uncertain science undertaken by humble and true scientists, but this is overwhelmed by second rate and rampant speculation passed off as gospel: the humble and true do not protest against the accretions, and their silence is held against them. The science of climate change is not settled insofar as it is used to inform policy, with wide and intrinsic uncertainties not noticeably narrowing over the last 25 years, and with mainstream predictions of global warming running 2-3 times faster than the real-world data over that period. How are we to trust the long term predictions if the short term ones are so much at odds with reality? The second part of the book deals with the politicisation of the science, and especially the studies of future impacts and possible measures by way of mitigation and adaptation under the aegis of the United Nations. This is where we see evidence of serious malpractice in continuous post-hoc modification of historical data, exaggeration of claims, the collusion of the premier journals and the reports of the academies that report upper extremes as expectations by the simple expedient of repeating the extremes without qualification, and sedulously avoiding any mention of the proven upsides of the last century of global warming. One chapter entitled ‘Baptists, Bootleggers and Opportunists’ draws some interesting comparisons of the contemporary climate change movement (for that is what it is) with the temperance movement a century ago. The titles of the last two chapters speak for themselves: ‘Rhetoric vs Reality’ and ‘Immorality Pretending to Virtue’. How will humanity extricate itself? One can hope that the accumulation of failed predictions over the next two decades will burst the bubble. The world academies cannot be asked to sit in judgment on the misconduct, as they will be in the dock. The UN is also hopelessly compromised. Perhaps this might be the subject of a follow-on study?